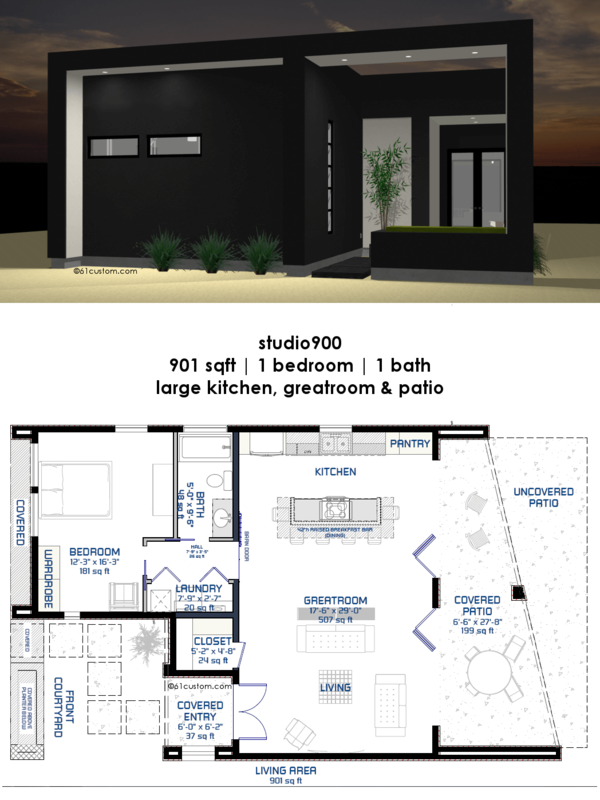 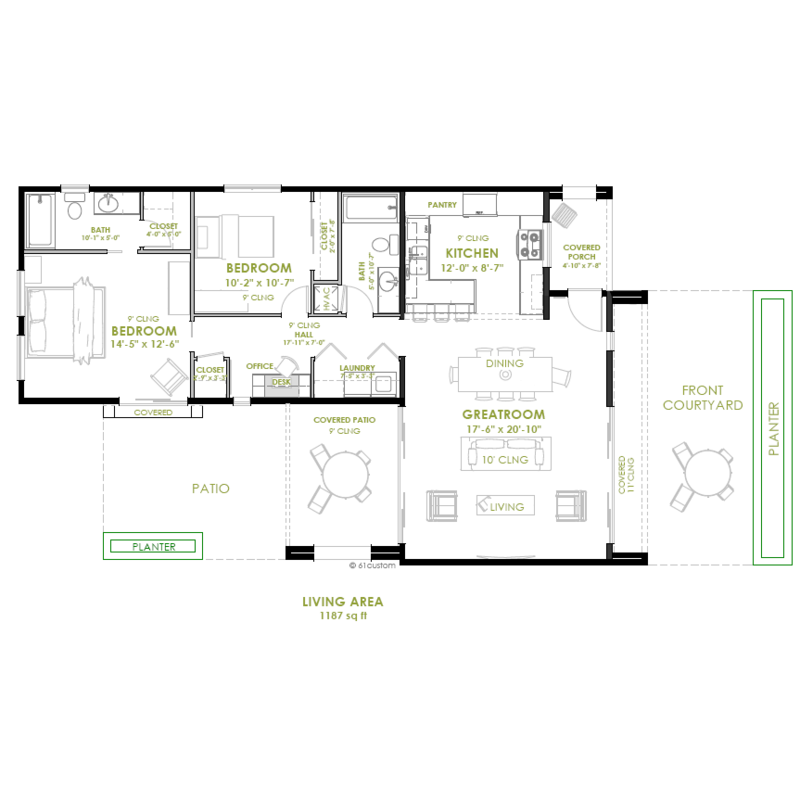 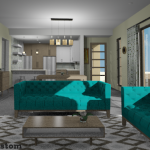 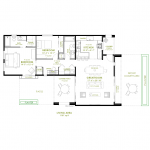 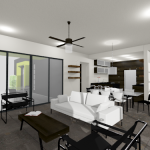 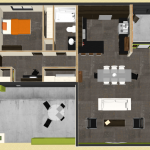 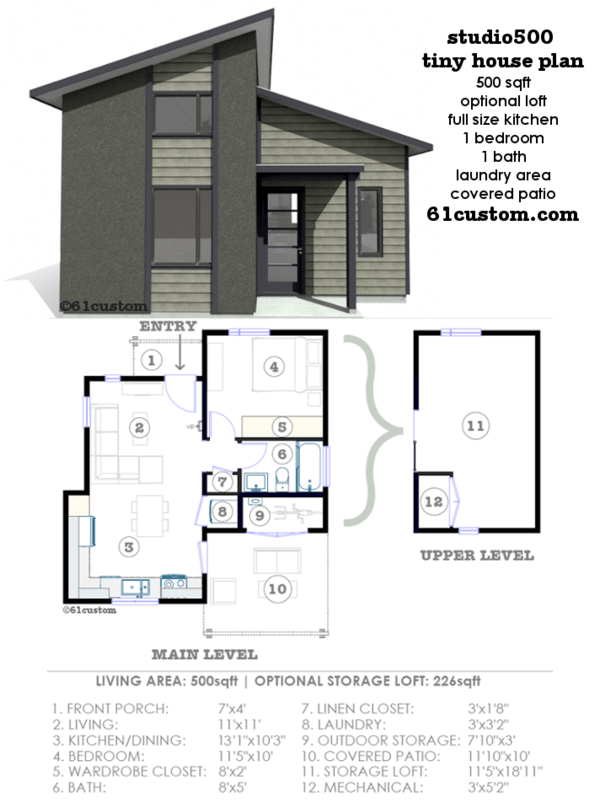 This modern house plan offers two bedrooms, two bathrooms, a spacious greatroom with room for a large dining table, modern kitchen, front courtyard and large back patio, laundry area and a built-in desk space. 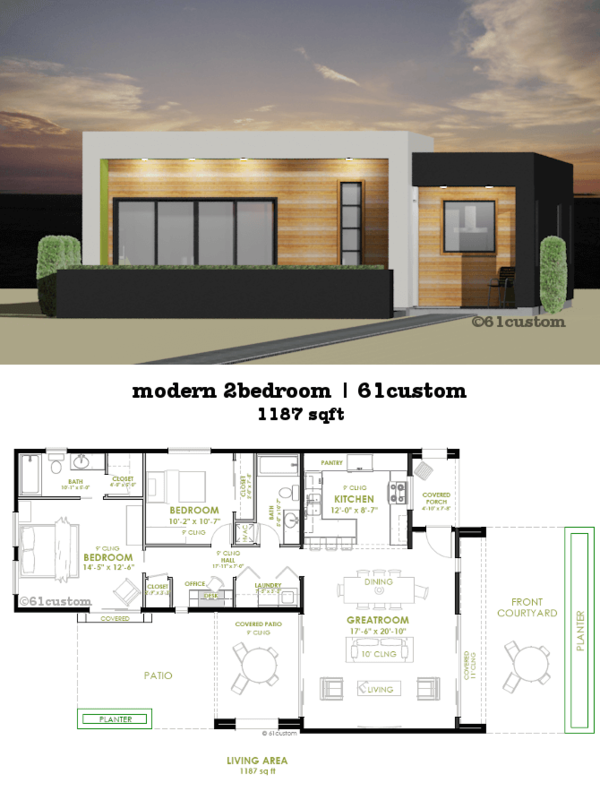 1187 sqft. 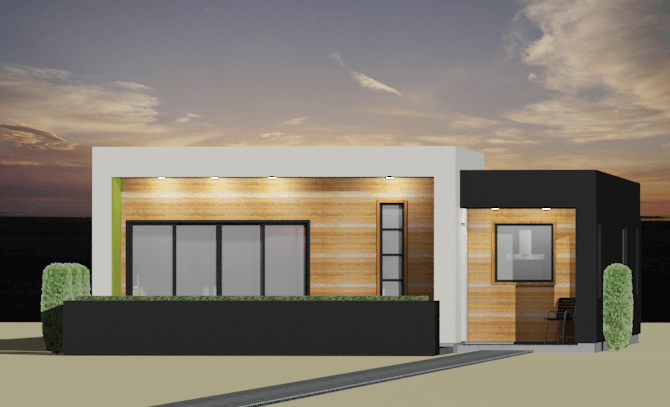 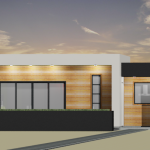 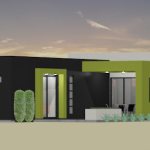 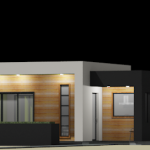 A slightly larger version of our casita house plan, this small single level modern house plan offers two bedrooms, two bathrooms, a spacious greatroom with room for a large dining table, modern front kitchen, laundry area and a built-in desk space. 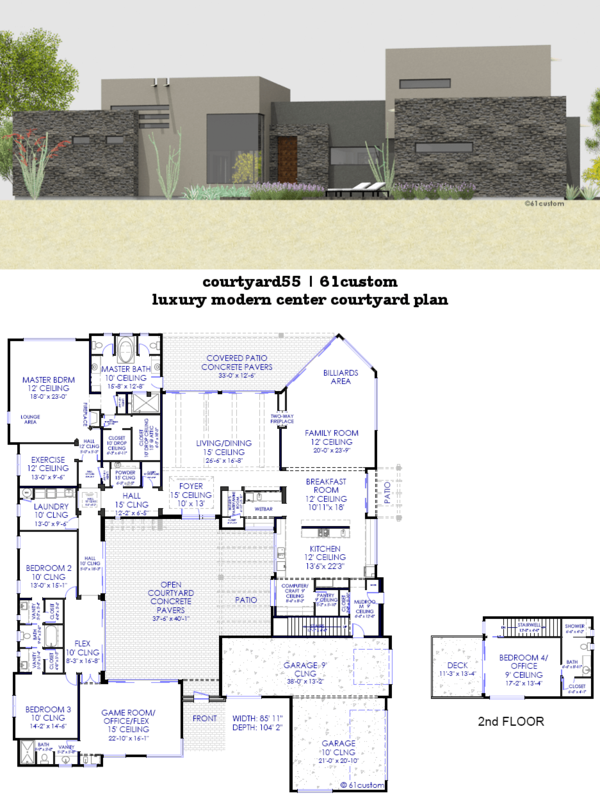 Two 12-foot doors open the greatroom up to a front courtyard and a generous backyard patio, which makes this a great house plan for entertaining. 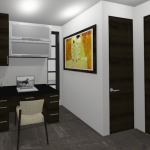 The double doors also help to create a nice cross-breeze, lessening the need for A/C. 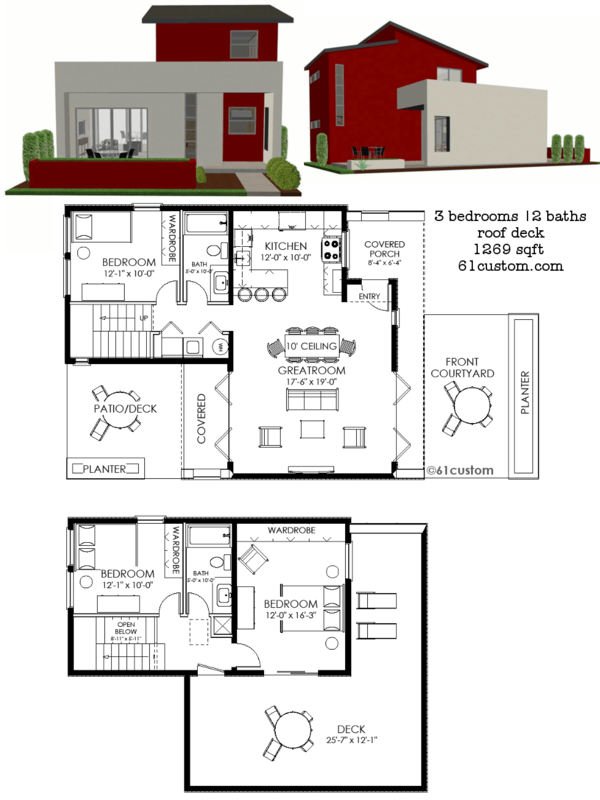 The roomy master bedroom opens to the outdoors with a patio door. 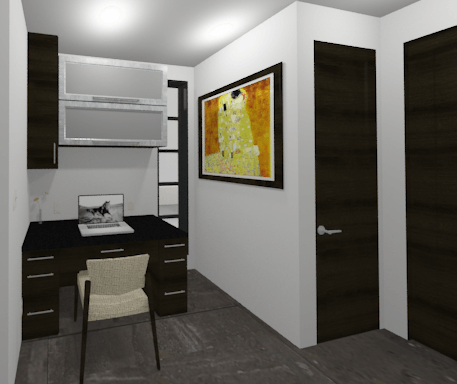 The built-in desk area is bright and large enough to function as a home office without taking up too much space in this small yet functional plan. 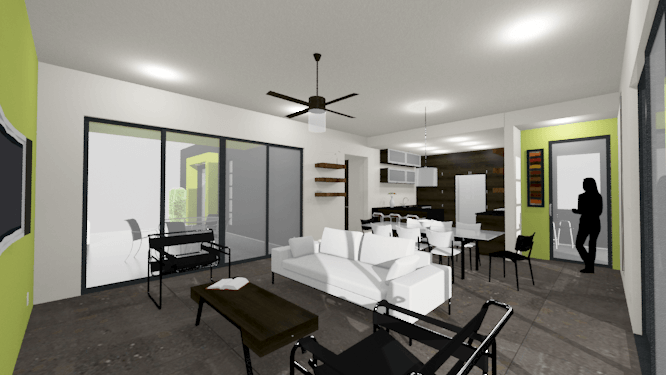 The modern kitchen looks out onto the front porch through a large window. 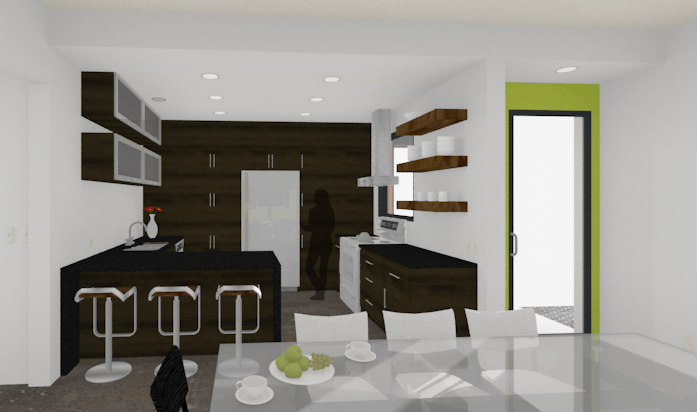 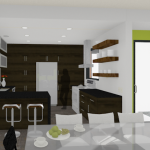 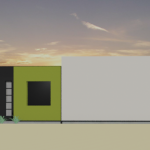 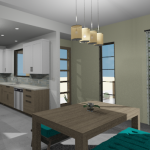 Sustainable design features include energy efficient spray foam insulation, 2×6 construction, on-demand tankless water heater, and an optional rainwater collection system.